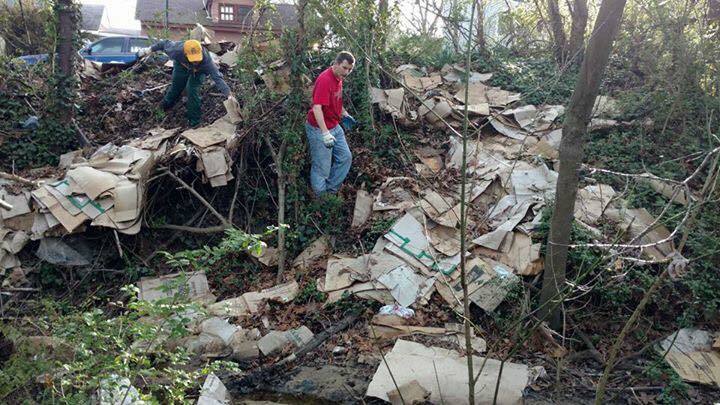 Volunteers from Keep Hopewell Beautiful removed roughly 500lbs of trash from a neighborhood ravine in Hopewell. The picture shows what the ravine looked like before the clean up. The entire ravine was cleaned up in less than two hours thanks to the hard work of seven Keep Hopewell Beautiful volunteers.